We had a fun time watching this family of nutria. It was a quiet time of the day and there were very few birds to see at Bosque Del Apache in New Mexico. While sometime called river rats, we found them living up to the old saying “busy as a beaver”. They were in almost constant motion and after a while seemed oblivious to our watching eyes. Surely as much fun as you could have watching a rodent. The Nutria (Myocastor coypus) is a rodent native to South America, and was introduced to Europe, Asia, and the US for fur farming. When the fur market crashed in the US (1940s) many were released in the wild. 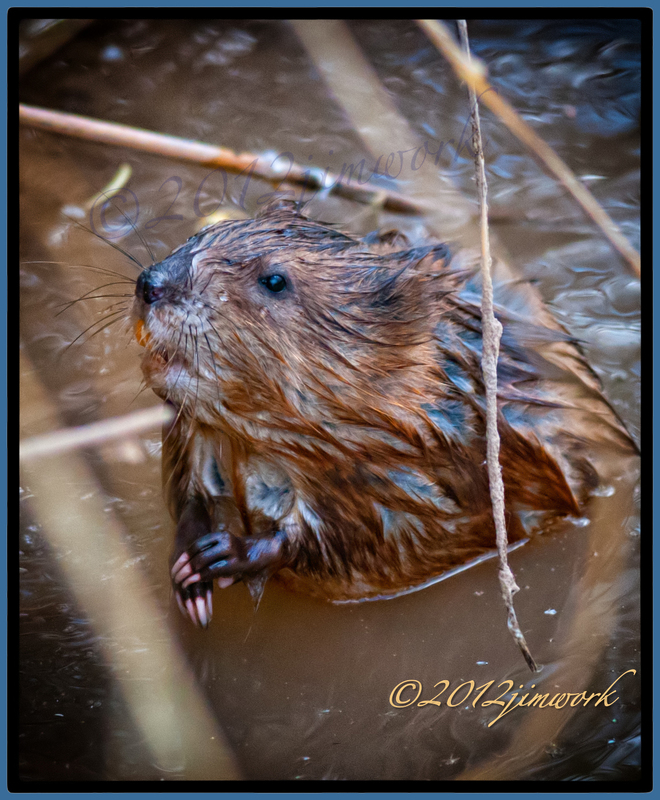 Adult are smaller than a beaver, but larger than a muskrat. They are about 14 inches long with a round hairless tail almost as long as their body or longer (12 to 17 inches). Nutria usually have dark brown fur. They have 4 inch long whiskers and large incisors that are yellow-orange to orange-red. Nutria average 16 to 18 pounds, but sometimes reach a weight of 25 pounds. Nutria are vegetarians and consume almost 25% of their weight daily. Their favorite foods include: rushes, reeds, cattails, arrowhead, square-stem spike rush, and sawgrass. They eat sugarcane, alfalfa, corn, and rice if they can get them. Unfortunately, nutria over-harvest, which results in killing desirable plant species, and destroying wetland habitats. Nutria are semi-aquatic and spend most of their time in or near the water. Nutria burrows often have entrances underwater. Nutria may use elevated, platforms of dead vegetation instead of a burrow, or may nest in dense vegetation. One male usually has a “harem” of 2 to 3 females. Female nutria only produce 6 litters of young in their lifetime. Litters average 4 to 5 young. 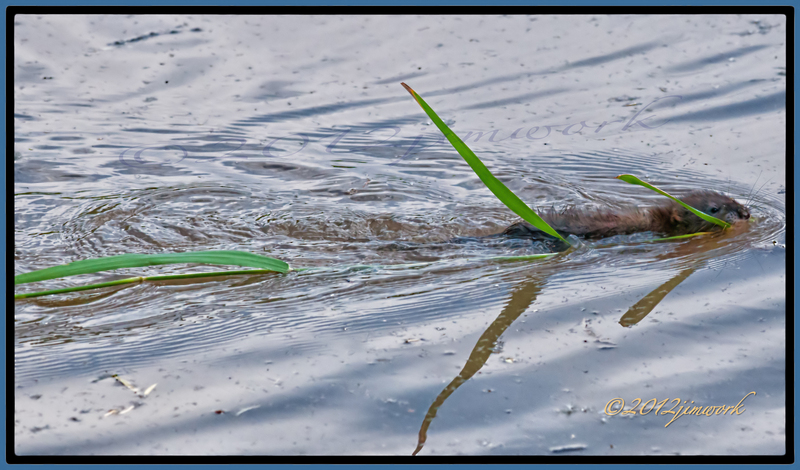 The teats on a female nutria are high on the sides so young nutria can nurse as the mother swims. – Nutria have 3 sets or lengths of fur: primary and secondary guard hairs, and under fur. – Nutria are also called coypu, coypu rat, nutria rat, and swamp beaver. – Nutria have valves in their mouths and noses that can be closed so water doesn’t get in. – At birth young nutria are fully furred. That is such a cool picture! He is adorable 🙂 your work is fantastic!